When you need to convert a picture to a PDF, use PDF Converter. 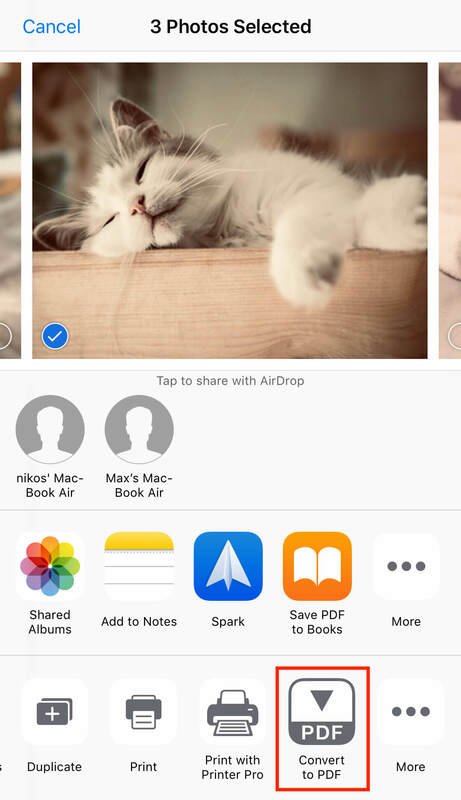 It can convert any file on your iPhone and iPad into a PDF document. Get it now if you haven’t done so yet. Launch PDF Converter and select the Photos tab. Choose the image you want to convert. You can tap Camera to take a photo. 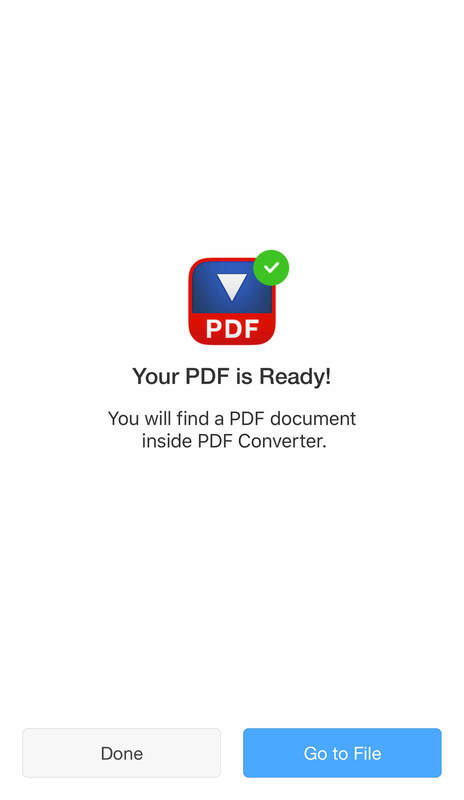 PDF Converter asks to access your camera; tap OK in the pop-up message. Your image is saved and opened as a PDF file. You can find it in the Documents tab. 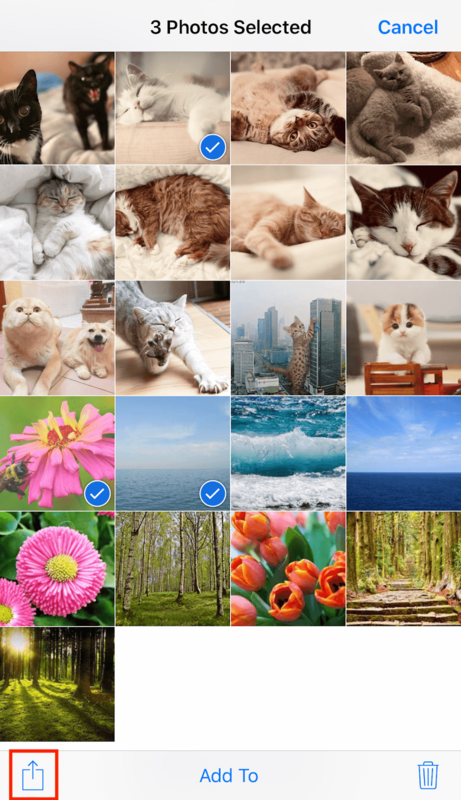 Open the Photos app on your iPhone or iPad. 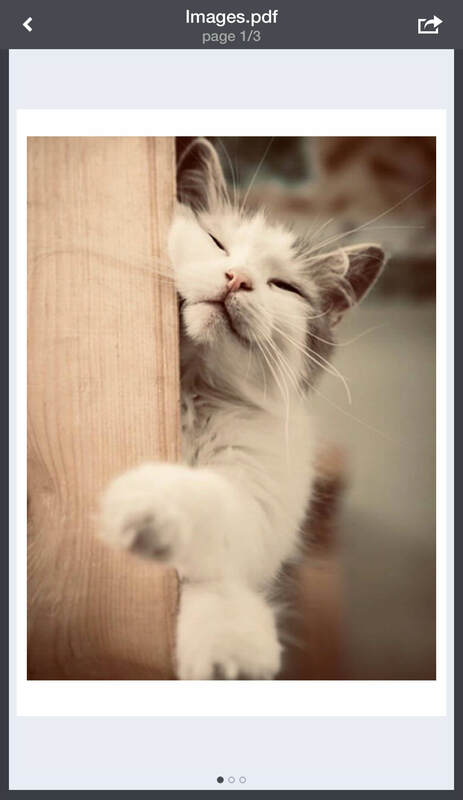 Tap Select at the top right and choose the images you want to convert. Choose Convert to PDF. If you can’t see this option, swipe right, tap the More icon, enable the toggle Convert to PDF and tap Done. PDF Converter has converted your images to a PDF. On the next screen, tap Go to File to view your PDF. Each photo is displayed as a separate page in the PDF file.